Aspiring to continue its economic development, Thailand is putting into action an industrial advancement policy that, in addition to airport and high-speed railway development, seeks to attract and cultivate key industries, including robotics, digital technology, and next-generation vehicles. Hitachi has aligned itself with this move by establishing a base in Thailand whose mission is the deployment of digital solutions. This base will be play a central role in driving the digitalization of various business fields in Thailand while also deploying solutions to the ASEAN region. Based on Thailand 4.0, a long-term economic and social vision, the Kingdom of Thailand is executing a policy aimed at establishing an advanced economic foundation and growing the economy. Taking this as its cue, Hitachi has opened a facility, Lumada Center Southeast Asia, in the Amata City Chonburi Industrial Estate. Hitachi’s facility is tasked with offering customers solutions of Lumada, which are designed to accelerate their digital innovation. Lumada Center Southeast Asia will serve as a base for deploying in Southeast Asia the IoT technologies and expertise brought to fruition in Japan, China, the U.S., and other countries. Lumada Center Southeast Asia features an IoT solution room, a mock-up of the production line, and the co-creation room, a space dedicated to the holding of discussions. These and other labs will provide employees with the means to verify solution case examples that employ OT and IT. They will make it possible to discover and analyze the business issues faced by customers and to discuss solutions. One such initiative, involving the demonstration testing of solutions specifically for manufacturing, has already been launched at Hitachi Metals (Thailand) Ltd., one of the largest production bases of the Hitachi Metals Group in Southeast Asia. 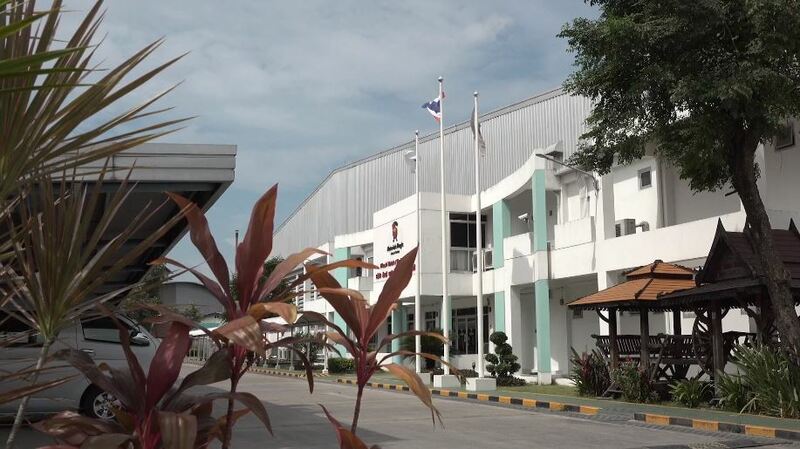 The diversification of manufacturing products, a direct result of an increasing customer base, has led to process complication and other issues, making improving production efficiency a major challenge for Hitachi Metals (Thailand) Ltd.. To deal with this, Hitachi Metals (Thailand) Ltd. has introduced the solution of Lumada and started the demonstration of production efficiency improvements. Based on the improvements identified in the demonstration phase, Hitachi Metals (Thailand) Ltd. plans in the future to also apply Lumada to such projects as quality improvement, lead time reduction, and mass customization. In addition, Hitachi Metals (Thailand) Ltd. has set its sights on deploying the knowledge gained from this initiative to other international production bases. At the newly opened Lumada Center Southeast Asia, Hitachi has taken steps starting in Thailand to accelerate collaborative creation with customers in the ASEAN region, aspiring to provide customer-optimized solutions while contributing to the digitalization of a broad range of fields, from manufacturing and distribution to security and the public sector. Solutions By: Hitachi Ltd., Hitachi Asia Ltd. In March 2017, the Japanese government formulated the Work Style Reform Action Plan.